Losar, the Tibetan New Year, is the most important celebration and festival in the Tibetan lunisolar calendar. It has been in place for more than 1,000 years. Ancient Tibetans were traditionally nomads, who lived on the harsh Tibetan plateau, herding yaks and sheep and farming the land for grain and other crops. When the crops were harvested, the farmers and local villagers would celebrate with a festival of dancing and singing. As the centuries passed, this celebration slowly turned into the New Year celebrations, which originally occurred at the end of the harvest. The celebration actually pre-dates Tibetan Buddhism in the region and has its origins in the ancient Bon faith of the plateau people. 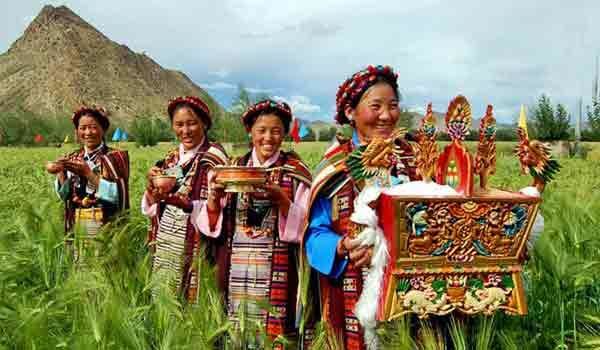 It was in the 7th century that the practice of celebrating the harvest merged with the customary New Year festival of the Buddhist calendar to form the Losar celebrations as they are known today. Traditionally, the Losar celebrations can last for around two weeks. It is one of the best time to visit Tibet. As with most of the Buddhist calendars, the New Year changes each year, as the Buddhist calendar traditionally has 12 or 13 months in the year, depending on the number of lunar cycles. The 13th month is traditionally added every 2-3 years, to allow the Tibetan calendar to catch up with the standard solar year. The Losar celebrations traditionally start on the first day of the New Moon, which normally coincides with a date in January, February, or March in the Gregorian calendar. Predicting the date is relatively simple until it comes to the adding of the 13th month. Losar normally occurs in the following year around 10-11 days before the Losar date in the previous year, unless a 13th month was added. Such as the case in 2016 and 2017, when the 2016 Losar was on February 9, and the 2017 Losar was on February 27. In 2018, Losar fell on February 16, and in 2019, will fall on February 5, but in 2020, it jumps forward because of the 13th month, to February 24. Interestingly, while both Tibet and mainland China both use a lunisolar calendar, the Chinese New Year and Losar dates rarely ever coincide. While they are normally close together, and are sometimes on the same day. The Tibetan Losar can be as much as a month before or after the Chinese New Year. 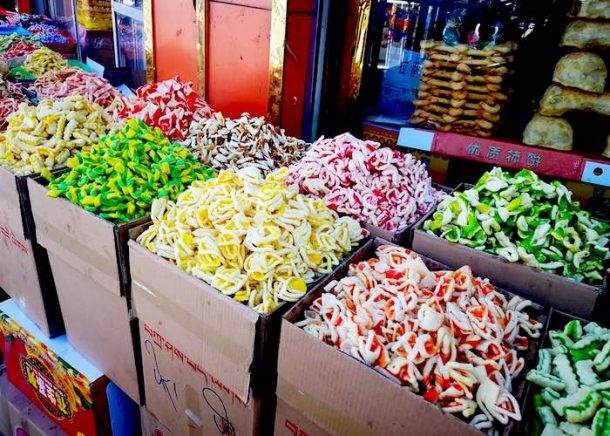 Tibetans traditionally start preparing for Losar as long as two weeks before the actual celebrations, though most of the preparations happen in the last two days of the previous year. These days are known as “Gutor”, and are a time when housewives clean the house from top to bottom, and begin to prepare the food that will be eaten during Losar. On the second day of Gutor, Tibetans prepare for the coming New Year by lighting torches made of straw, tsampa, and firecrackers, which are then lit to get rid of the evil spirits f the previous year from their homes. Old items, and broken crockery are removed from the house, and taken to a crossroads, where they are burnt to get rid of any evil spirits and ghosts that may be lingering in the broken items, using the torches. People will also visit the monasteries the day before Losar, to pray and perform religious ceremonies, and donate gifts to the monks. The traditional food of the last days of the year is known as “guthuk”, a kind of noodle soup made with barley and other ingredients. The soup also contains dumplings that have small pebbles, wool, charcoal, or hot chili inside, that have different implications for the coming year. Those who are lucky enough to get a coin in their guthuk can look forward to a year of prosperity and good fortune. Traditionally, it is the head woman of the house who gets up very early on the first day of the New Year, known as “Lama Losar”, to rush to get the first water of the New Year, with which to make the meals for the day. This is considered to be auspicious and good luck for the family and home. When the rest of the family get up, which is also very early, and bathed to be clean, they dress in their best clothes, and make offerings to the household shrine. Throughout the first day, families will get together and celebrate with a feast, and give gifts to each other. They will also greet each other using a “Qemar”, which is filled with roasted barley, tsampa, barley straw, and yak butter sculptures. On the second day, known as “Kings Losar”, people will visit relatives and friends, offer the Qemar, and greet them for the New Year. This is a day of dancing and singing, and celebrations around the town or village. Performers dance in the streets in the traditional white masks, carrying sticks, and it is believed that watching or getting involved in the performance can bring good luck for the year ahead. The third day of Losar is the time to replace the old prayer flags on the roofs of the houses and hills. 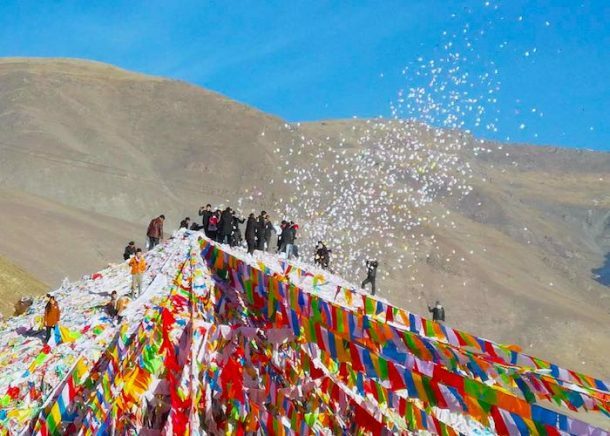 The third day of Losar is the time to replace the old prayer flags on the roofs of the houses and in the temples for new ones, to spread goodwill and blessings around the world. Locals go for hiking on top of hills and offers prayer flags. People burn pine and cypress branches in the Weisang ceremony, so the fragrance of the burning branches pleases the gods who will bring good fortune to the people. For many travelers to Tibet from countries outside China, the period of Losar is a time when the region is closed for tourism. 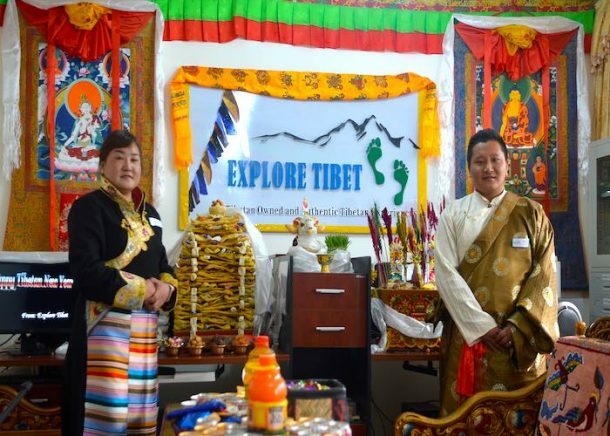 As much as the celebration is the most important in the Tibetan calendar, there are no tours that can take you to see it in the Tibet Autonomous Region. However, the TAR is not the only place where you can experience the celebrations of Losar, in the traditional Tibetan manner. The ancient Tibetan Empire stretched across a region that was more than twice the size of the modern-day Tibet, far into what are now the provinces of Qinghai, Yunnan, Gansu, and Sichuan, in the areas traditionally known as Amdo and Kham. 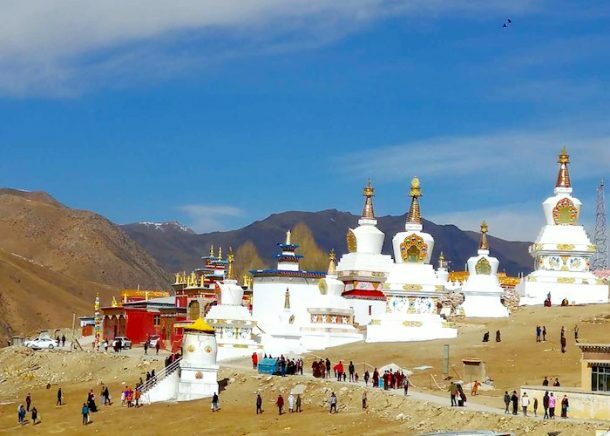 The Tibetan New Year is still celebrated in its traditional form in many of the towns and villages in the Tibetan areas within those provinces, and it is possible to travel to any of the Tibetan Autonomous Prefectures in Qinghai, Yunnan, and Sichuan Provinces during the period of New Year. Here is Tibet travel advice you read before traveling to Tibet.